President Rodrigo Duterte’s declaration of martial law in Mindanao in response to the siege of Marawi City by the Maute rebel group took many people by surprise. In response, the local government of Davao City issued additional guidelines in pursuit of what it calls a “hold-and-secure” policy for Mindanao’s biggest city. 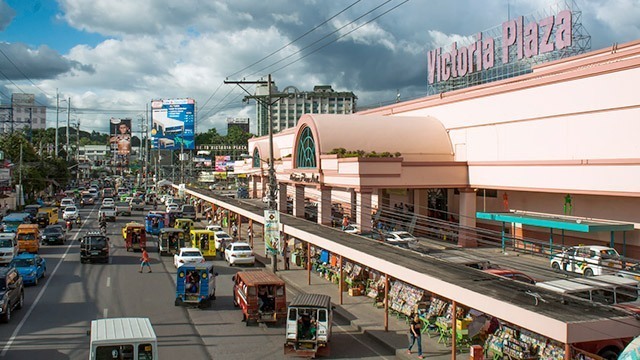 On the surface, it’s business-as-usual in Davao City. But uncertainties abound, prompting business owners to prepare for unprecedented events to ensure that operations run smoothly no matter what happens. What does martial law mean for local entrepreneurs? Business owners in Davao share their worries and solutions to the potential implications of the extraordinary government measure on their operations. Aspects of the business that are readily affected include travel of visitors, logistics, in-store customer traffic and security. Part of the city government’s guidelines discourages travel to and from Davao City. Many companies have already limited their employees’ travel to Mindanao. Some airline companies have also offered their customers the option to refund payments for flights bound for the region. Tourism is one of the first industries to get hit by the declaration of martial law. “I could say that 95 percent of our business transactions are inbound or coming in to Mindanao,” says Candice Diao, who owns Flyglobal Travel, an agency that handles tours around Davao City and other Mindanao destinations. Earvin Joshua Go, who organized a special athletics event for his business, CrossFit Madayaw, says the declaration affected the expected turnout. “Out of 90 expected athletes, around 20, who were mostly from Cebu or Manila, had to cancel. We had to constantly post that Davao remains safe, trying to convince people to stay on for the event,” he says. However, CrossFit Madayaw was successful at ensuring that the event judges coming from Manila, including special guest, Olympic silver medalist Hidilyn Diaz, were in attendance. The show had to go on as a good number of participants had already showed up, says Go. The guidelines also recommend people stay at home and avoid public places as much as possible. While no special curfew has been set under the guidelines, many parents ask their kids to go straight home after school. A few adults also decide to go home right after clocking out from work, rather than stay out late. Prieto also raised the possible issue with delays in shipping. “The current events might delay some of our shipments since a lot of our supplies are sourced from outside of Davao. We need to consider multiple courier options now [to avoid shortages and delays],” she says. Concern for delayed shipping is valid since the security level at checkpoints to and from Davao has been elevated. Going through one checkpoint reportedly lasts between 30 minutes to four hours, depending on the time of the day. Part of the guidelines recommends business establishments to create and train staff on an emergency plan. Investing in additional private security is also encouraged. Business owners may want to consider additional security measures especially if their customers have apprehensions with doing business in the city under martial law conditions. To appease the reluctance among some players participating in their CrossFit event and ensure their security, Go and his team had to tap local government agencies for increased security presence during the event. Most of the local business owners look at the announcement of martial law as a hiccup in operations that will soon pass. Here is a list of things they are doing to survive the period of uncertainty. Prieto of Alley Cat says that avoiding a potential delay or shortage in supplies means preparing well. “We need to stock up and order supplies in advance and twice the usual amount,” she says. According to Diao of Flyglobal Travel, businesses that are affected need to adapt to the current state of the country. “So for now, we have to divert our focus from inbound tours towards outbound,” she says. Business won't always go smoothly and that is normal, says Diao. “We should accept the problem, adjust and act fast, although this is easier said than done. Nonetheless, this [martial law] brings us out of our comfort zone and is an opportunity for growth,” she says. Slow in-store customer traffic is a sign of the public’s initial reaction. “I think people will soon be comfortable enough to stay out late again,” says Prieto. Local business owners also see a positive side of martial law. “With the increased security around the city, authorities can deliver a faster reaction time in cases of emergency,” says Prieto. “It’s also better to be safe than to be sorry,” says Diao, reminding everyone that the safety of customers should also be a top priority.